Applications Cartridge Design and Formulation according to Material Transported. Available in anti-static or FDA approved. 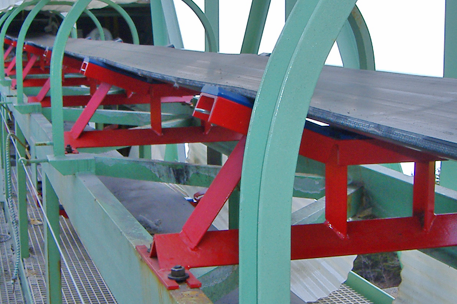 The Slidler™ concept is fundamentally different to the idlers, or rollers, used for years to support and guide the belts used in trough conveyor systems. 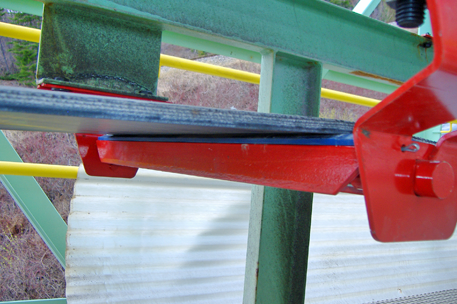 The dusty, corrosive, and abrasive operating conditions of trough conveyors cause the idlers to seize up – causing belt wear and guiding problems. The Slidler has no moving parts, and the smooth surfaced cartridges which support and guide the belt, eliminate these problems. Depending on the application, the Slidler extends operating life two-to-five times that of conventional idlers. As a result, maintenance costs are considerably reduced; and with the patented fastening system, eventual replacement cartridges can be installed in a matter of minutes. Operator safety was also an important consideration in the Slidler™ design. 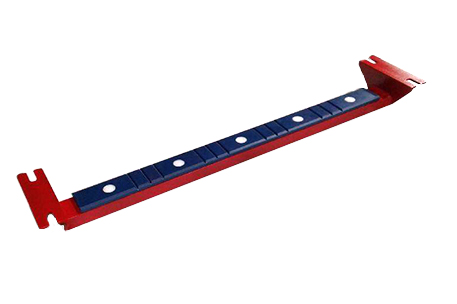 By eliminating the pinch point formed between the turning idler and the belt, the risk of hand and arm injuries is considerably reduced. The product is operating successfully in various industry sectors including mining, pulp and paper, potash, sawmill and others. 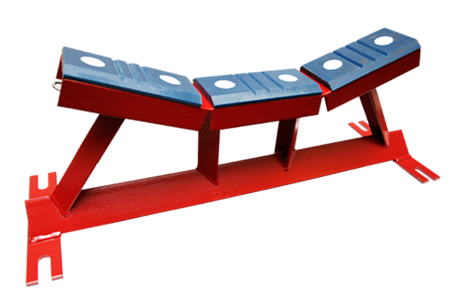 The Slidler™ design reduces the risk of injury which can occur at the ingoing 'pinch point' where the conveyor belt converges with the idler . With its flat surface, non-rotating design, the Slidler™ minimizes the incidents of hand and arm pinch point injuries. The Slidler™ also reduces the risk of airborne dust ignition in sawmills and other process-generated dusty environments.